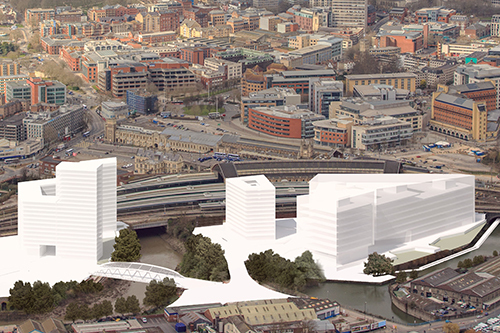 The University of Bristol has revealed details of plans for three high-rise student accommodation blocks forming part of its £300m Temple Quarter Campus. 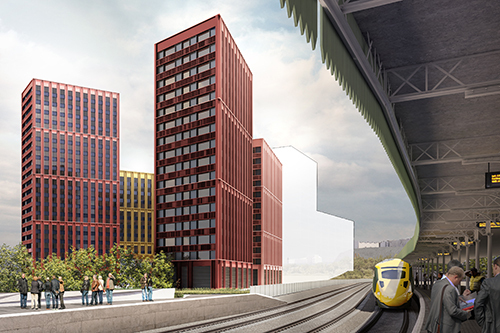 Nearly 1,000 student bedrooms are planned in the three blocks for land alongside Temple Meads railway station. 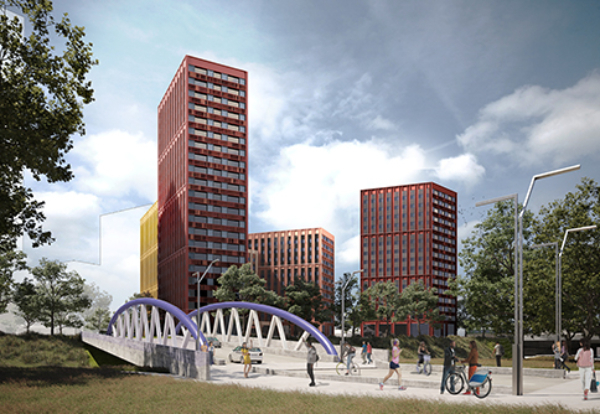 Conditional outline planning permission for the seven-acre site was granted in July 2018, with proposed student accommodation buildings on Arena Island, ranging from 12 to 21 storeys. 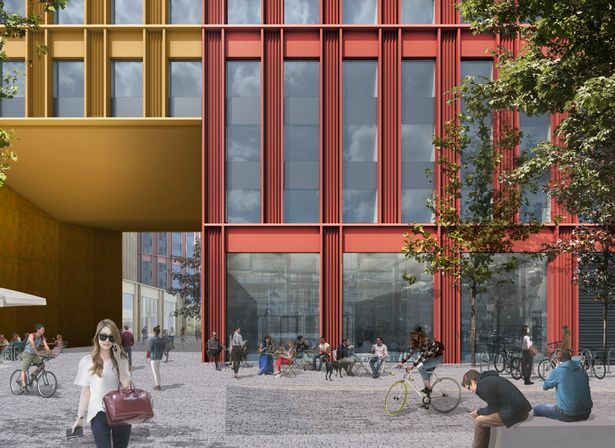 An adjacent part of the site known as the old Cattle Market will also be built out with academic buildings to create a ‘gateway’ to Bristol Temple Meads railway station and an iconic venue in the heart of the city for the University. The ground floor of the high-rise student buildings, which will be metal clad to reflect the industrial heritage of the site, will feature a 24-hour student hub along with associated commercial outlets, such as shops, bars and cafes. The campus aims to welcome its first students in 2022 and will be at the forefront of digital and management research, education, skills and innovation. It will provide teaching, research and innovation space for some 800 staff, external partners and 3,000 students. 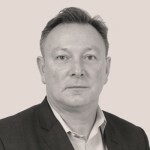 Professor Guy Orpen, Deputy-Vice-Chancellor for New Campus Development, said: “The development will be one of the city’s most significant regeneration projects in recent history. “We’ve revised our plans to add more focus on the public spaces and to allow better routes for pedestrians and cyclists to move through the site.